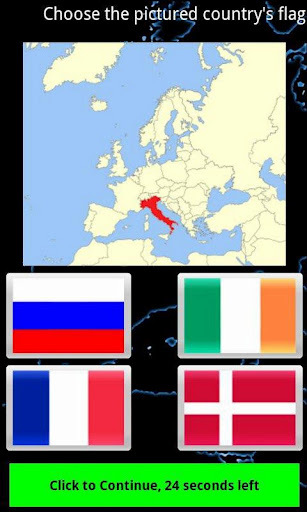 European Quiz (Lite) by developer Triple E It, LLC offers a giant stack of challenging European geography quiz questions. The questions range from topics such as country identification, capital city location, and flag information. It's a solid game for geography enthusiasts, students, or those looking to brush up before a European vacation. This Android game also includes a study mode so that you can learn the facts without the pressure of the competition. Speaking of competition, European Quiz (Lite) offers global leaderboards (powered by Swarm) so that players can take on the world! Interested in Europe? Like geography? 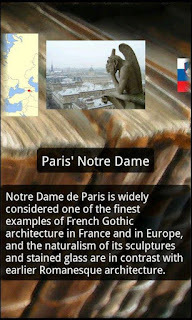 Want a free Android quiz game? Check out European Quiz (Lite) by Triple E It, LLC!